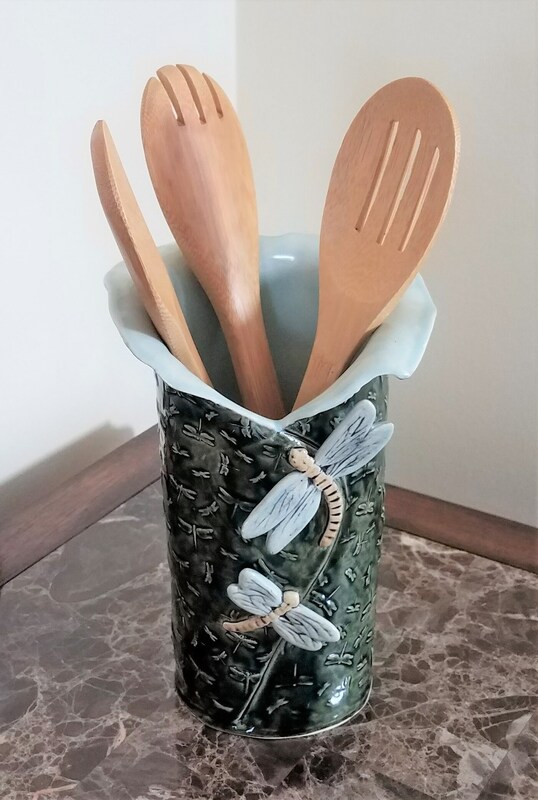 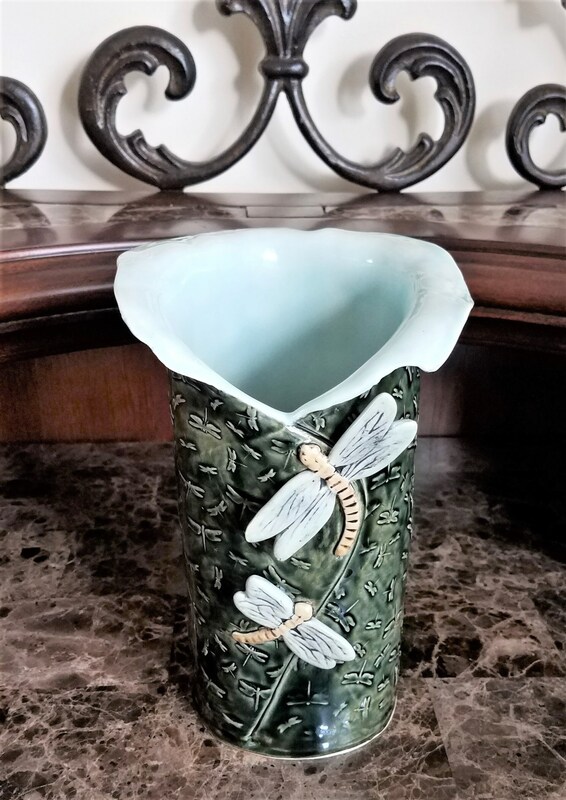 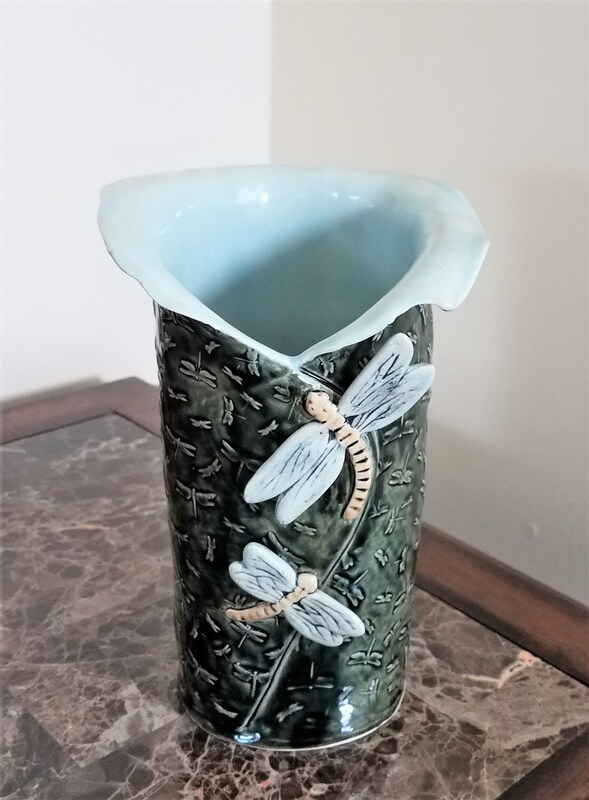 My stoneware dragonfly vase would make a thoughtful gift for anyone who loves and collects dragonfly art. 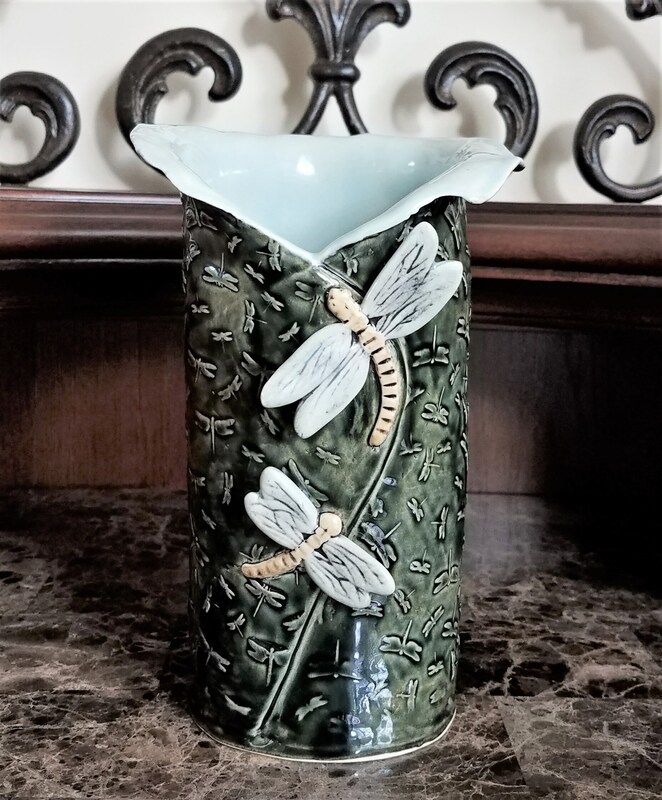 Created from stoneware clay, and kiln-fired to cone 5, the outside is textured in a dragonfly pattern, and glazed in a deep forest green. 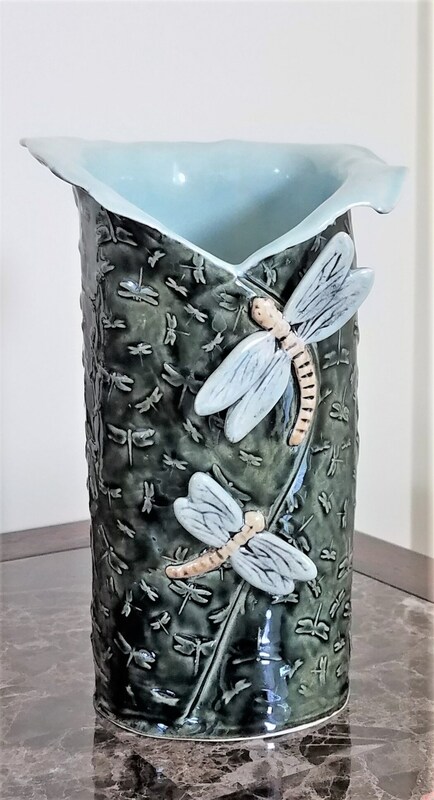 The front of this vase is adorned with two dragonflies, and glazed in a pale ice blue to match the inside of the vase. 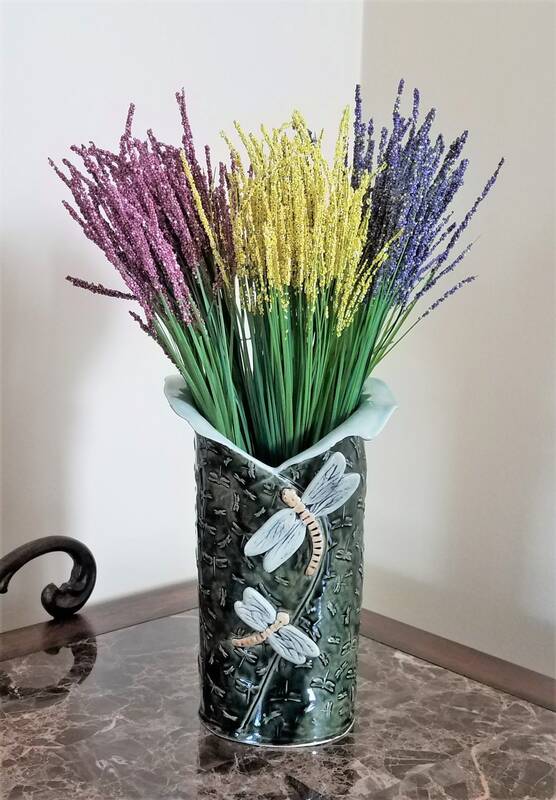 This vessel is water-tight, so it will welcome an array of fresh or artificial flowers. 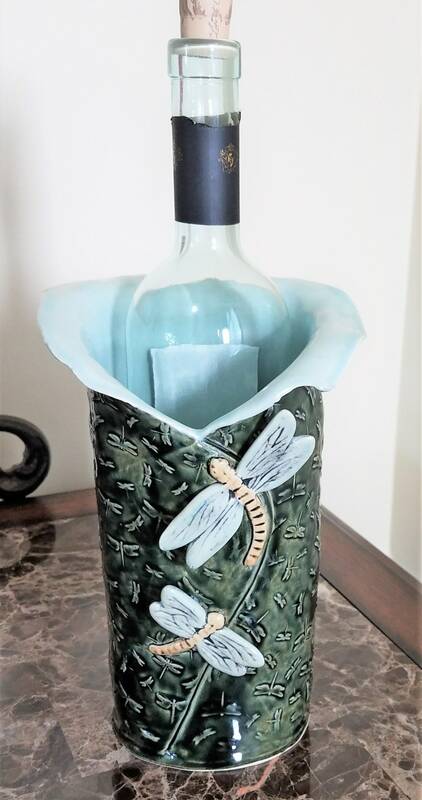 Use it in the kitchen to hold utensils, or add ice to chill and hold your favorite bottle of bubbly. 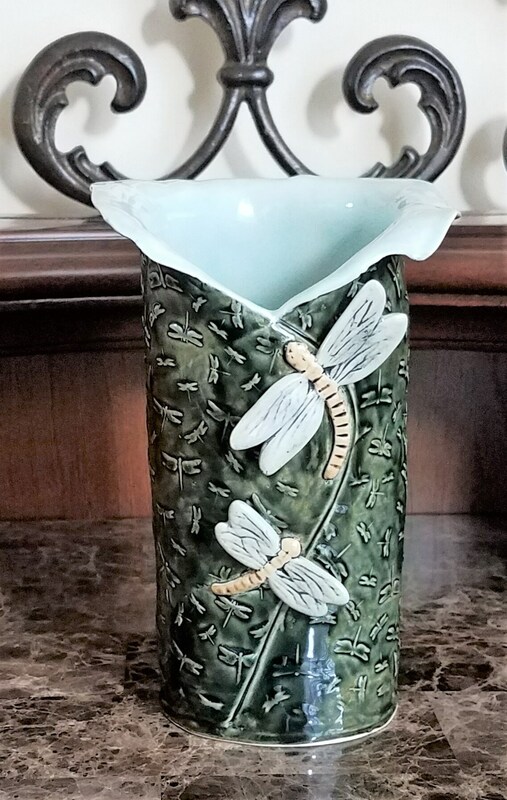 Insert a large pillar candle and you've got an attractive candle holder for your table. 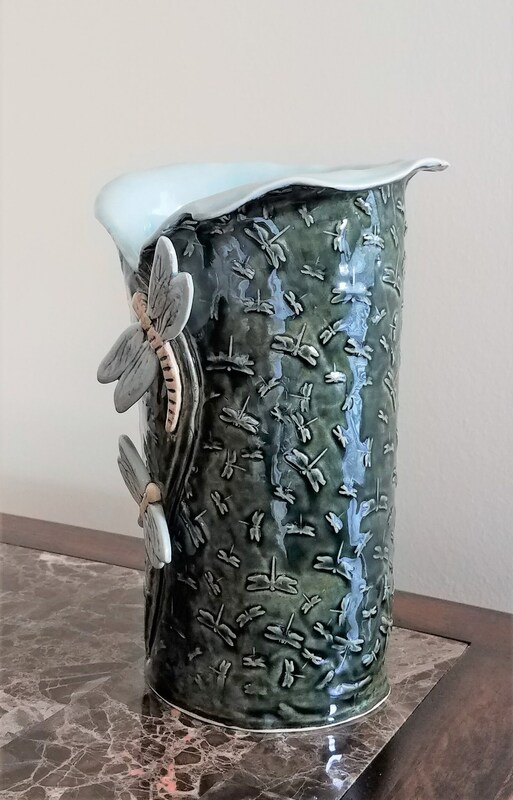 This vase measures 8.5" in height and is 5.5" in width.